God of War, Red Dead Redemption 2, Return of the Obra Dinn and Florence lead the nominations at this year’s Bafta 2019 games awards. God of War has been nominated for ten while Red Dead, Obra Dinn and Florence all pick up six. These four, plus Astro Bot: Rescue Mission and Assassin’s Creed: Odyssey compete for the big award of best game. The category is a mix of big budget games and critically acclaimed indie titles. You’ve probably heard of some famous franchises but Florence, Return of Obra Dinn and Celeste (which has five nominations) will be unknown to some players. Florence is a puzzle game based on a relationships between a bored woman and a musician, which was created to be a violence-free alternative to aggressive games that dominate the mainstream. Return of the Obra Dinn is a mystery solving game set on an abandoned trading ship and Celeste is a platform game about mental illness. 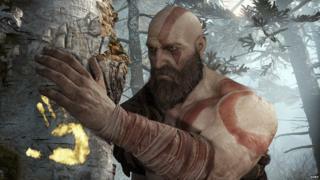 Alongside nominations for sound, narrative, game design and more, four God of War actors have been nominated as best performer. Christopher Judge, Danielle Bisutti, Jeremy Daniels, Sunny Suljic will compete with Red Dead and Assassin’s Creed actors for the performance prize. In the evolving game category, online shooters Fortnite and Overwatch will compete against each other and Destiny 2, Elite Dangerous: Beyond, Sea of Thieves and Rainbow Six. Florence, Frostpunk, God of War, Marvel’s Spider-Man, Red Dead Redemption and Return of the Obra Dinn are nominated for the best narrative award. The winners will be announced on 4 April 2019.